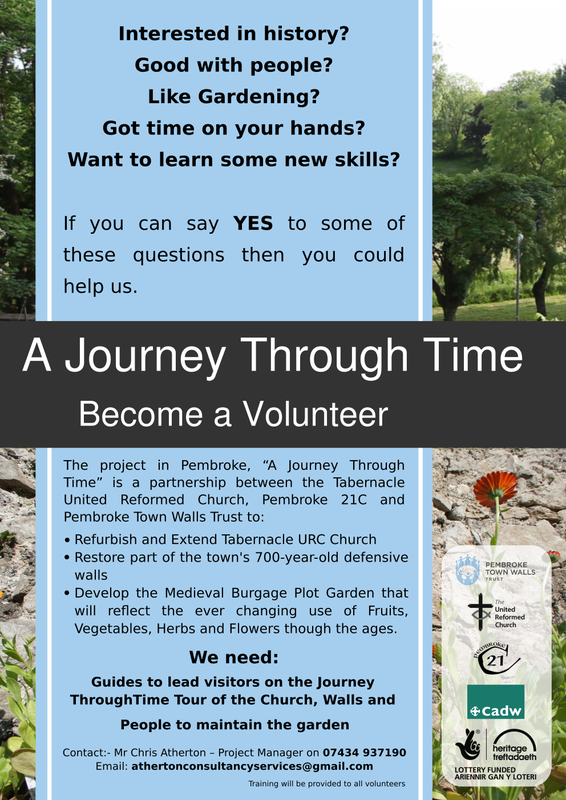 The Pembroke Town Walls Trust are looking for volunteers. Your skills, time and enthusiasm can make a huge difference to our cause. We would love to hear from you if you would like to get involved with one of our projects. To find out more or to register your interest please click the button below. Thank you for your interest in our volunteer programmes. We will get back to you shortly.